The Best Sport Headphones in 2019 are from… Denmark! The Danish specialists in sport headphones, MIIEGO®, have just received great honors on the world’s largest sports trade fair, ISPO. 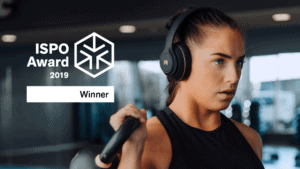 The Danish audio company has, with their wireless BOOM sport headphones, won the award for this year’s best headphones for sports, a prize that fits well together with the company vision of becoming one of the world’s leading developers of headphones for sports. BOOM! The Danish sports headphones brand, MIIEGO®, have just won a major international award at the ISPO trade fair in Munich with their over-the-ear headphones, BOOM by MIIEGO®. The headphones won in the category Health & Fitness, Headphones, thus gaining the victory at the world’s largest professional sports industry trade fair, an annual event over four days showcasing the latest trends and products in the sport industry. ”We are very honored and proud to have won this great international award for this year’s best sport headphones. It is great for us as a smaller Danish brand, and it is a huge pat on the back for everyone in our organization, which has, over the past few years, worked hard to create new and innovative headphones developed specifically for use in sports. Being able to win such a distinguished ISPO prize in front of huge brands is something very special to us, especially because it is awarded by such a large, diverse and international jury and as it is the industry’s own prize,” says MIIEGO’s CEO and founder, Christian Jeppesen. Since 2013, MIIEGO has been focusing solely on developing sport headphones, and the company vision and strategy is clear: MIIEGO headphones shall be the preferred consumer choice when buying sport headphones. 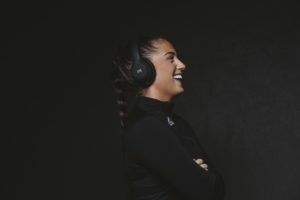 “We have chosen to do things a bit differently than most other companies in our industry, as we focus exclusively on headphones for sports, and therefore we also consider ourselves specialists in that niche. Having come so far as a company and brand in a fairly short time is probably mostly due to us having a very focused and targeted approach, and due to the fact that customers have welcomed our concept and products. We love sports and are very dedicated to the sport segment. We also know that people who do fitness, running and sports in general, are very interested in high-quality equipment. They are discerning consumers who want good, durable products that are guaranteed to work. And we constantly do our best to live up to these expectations and to constantly try to develop,” says Christian Jeppesen. MIIEGO® was founded in 2010 and the company, which today is based in Padborg, Denmark, has specialised in sport headphones since 2013. MIIEGO’s focus is on developing and designing headphones that are comfortable to wear, stay securely in place when you do sports, and provide you with a superb audio experience, long battery life and resistance to sweat, rain and the challenging Scandinavian climate. MIIEGO products are currently being sold in 20 countries worldwide. BOOM are headphones designed for sports as well as everyday use. A very functional 2-in-1 product some might say. The special and innovative feature of the headphones is that you can easily and quickly change the ear cushions. You can either use the pre-installed soft and comfortable ear cushions made from PU leather, or you can use the specially developed and breathable MIIEGO® mesh sport ear cushions, that are even washable. Both sets of ear cushions are included in the package. The product is one of few over-ear headphones in the market that has actually been developed for sports. BOOM is IPX5 certified, meaning that they can withstand sweat and rain. In addition, the BOOM headphones deliver top-class sound with deep bass, a comfortable fit, up to 24 hours of battery life per charge, passive noise reduction and the ability to use either Bluetooth or a cable. 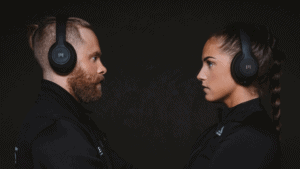 “We work together with athletes from different sports when developing our products, and they are all really enthusiastic about the final result of the BOOM headphones, so the future looks quite promising and very exciting,” says Christian Jeppesen. “Most of us know the challenges with getting “warm” ears, sweat and sticky ear cushions when training and listening to music. There are no such issues with BOOM, as you can use the specially designed sports ear cushions when training, and afterwards you can easily switch to the PE leather ear cushions for the trip home on the bus or train,” explains Christian Jeppesen. 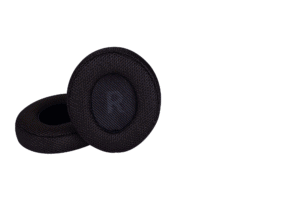 “We have met many customers who have previously bought a set of really expensive headphones, where the ear cushions soon became worn out and could not be replaced, so they had to make a makeshift patch solution or throw the product out altogether, despite the fact that the product itself still worked fine. We have developed a somewhat better solution for this problem with our new BOOM headphones. And at the same time, you get a set of super comfortable and functional headphones with great sound at a really good price,” Christian Jeppesen continues. Recommended retail price: 199 USD. The headphones are foldable, and the headband is adjustable in size. The ear cushions are inter-changeable. AUX cable, washable sport ear cushions and a protective premium hard case for the headphones are included. About ISPO Awards – an award ceremony at the world’s largest professional sport industry trade fairThe headphones are sold by selected retailers and at MIIEGO.com and are available in the colours black/black and rose gold/black. ISPO Awards are awarded in a range of sport product categories, and the independent jury consists of industry specialists. 43 judges from 12 different countries. Over the past years, the ISPO Awards has been established as an international and trendsetting award ceremony for innovative and landmark launches of products in the world of sport. Read more about ISPO 2019 AWARDS here and find all the category winners here.